Did you smell the donuts when you walked into the Linq? How can you pass up a hot fresh made-to-order little donut? 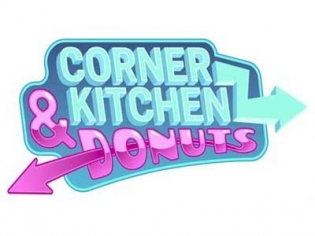 Corner Kitchen sells gourmet style mini donuts; choose from S’mores, Toffee Crunch, Lemon Drop, Raspberry Shortcake, French Toast, Chocolate Sea Salt, Blueberry and others. Even the plain Jane powdered sugar and cinnamon sugar ones are scrumptious. The Corner Kitchen also serves a full menu of gourmet sandwiches, hand-tossed pizzas, salads, breakfast plates, breakfast sandwiches and a variety of coffee beverages. In search of heaven in a bowl? Two words: The Poutine. It’s made with maple iced donuts, candied bacon, vanilla soft serve all topped with Fruity Pebbles. You have to see it to believe it.